how, when and where. With hands-on streamside instruction, you will learn, in depth, the terms, meanings of bank-huggers, sippers, gulpers, matching the hatch, understanding aquatic lifecycles, hatch matching proper fly selections, line control, drag-free drifts and much more while mid-day hatches inspire feeding sessions before your eyes. Down and dirty---do it! Understanding lake/water compositions is vital to the "blind-faith" wet fly, streamer approach and those who dial in, not only build self confidence but are often rewarded with success often measure in pounds. Lewiston is much more than an option---it is the small giant fishery of Trinity County. 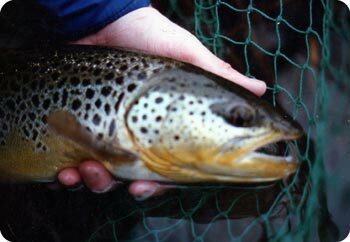 Remember – Lewiston fishes well throughout the fall-winter and can be a savior for steelheaders experiencing blown out river conditions. Lewie-lewie everyone! 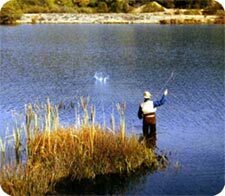 Always Current lake conditions and hatch information available----your Local Source--- (530) 623-6757. E-mail us at trinflyguy@shast.com.